Of Waupaca, age 92, passed away on Sunday, October 14, 2018. 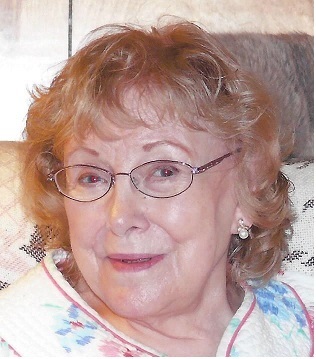 She was born in Fond du Lac on April 13, 1926 to the late Walter and Laura Jors. Grace was a member of St. Mark’s Episcopal Church. She volunteered at the hospital in the gift shop and at Hutchinson House. Grace had worked for the State of Wisconsin in the Department of Health and Hygiene. She grew up in Waupaca, but lived in Middleton for many years, before retiring and moving back to Waupaca to the same house she grew up in. She will be sadly missed by her beloved husband: Kenneth; daughter: Laura (Dennis) Thousand of Mt. Horeb, WI; grandchildren: Tara and Andrew Thousand and great grandchildren: Chloe and Aiden Turk; other relatives and friends. The Funeral Service will be on Thursday, October 18, 2018 at 11 a.m. at the Maple Crest Funeral Home. The visitation will be on Thursday at the funeral home from 10 a.m. until the time of the service. Burial will be in Lakeside Cemetery.